The GB Orienteers are very grateful for the support they receive from clubs and regions. They also thank the The Orienteering Foundation the UK Charity that promotes the sport of orienteering in the UK through enhancement, innovation, and alleviation of hardship. They would also like to thank everyone who has given significant help over the years, from family and friends to coaches, companies and many individuals who have donated money. Many of the athletes do want to be involved in inspiring our juniors to become the best. Individuals in the squad have a wealth of useful experience to pass on, so if there is an opportunity where they can help you, (coaching talks, Q and A, promoting an event) please get in touch. The funding for 2018 is outlined below, as is a summary of the funding in 2017. It is easy to see how the costs add up. In the summer of 2018 there was a short fund-raising campaign to help support the team for this year's World Championships. It raised £8,000. For more information please see the The Orienteering Foundation who kindly offered to help with this. The Orienteering Foundation will also accept donations specifically to help the squad as a whole. On The Red Line article about the campaign. Before 2017, Team GB had specific funding to help support training for, and competition in, international races including the World Championships (WOC). British Orienteering and the athletes also contributed to taking part in international competitions. A reduction in funding led to the Board agreeing immediate steps to reduce costs. There is more about this on the British Orienteering site, in announcements and meeting minutes. One of the consequences of this was raising awareness of how hard it was for the squad members, especially the younger ones, to work enough to afford to live and afford the costs of competing, at the same time as doing what they need to to develop into international senior athletes. 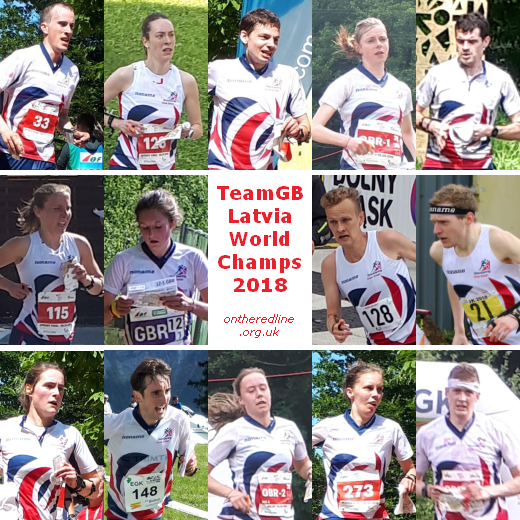 In 2017, British Orienteering partially funded the team at the World Championships (paying entry fees and accreditation) as well as covering costs for team management, a physiotherapist and medical staff. Athletes made individual contributions of approx £600 for accommodation, transport and travel to the races. A crowd-funding appeal, linked to The Orienteering Foundation charity, raised approximately £10,000 that was shared amongst the GB athletes attending the World Championships. An additional cost to the athletes was travelling to test races. Four athletes attended the World Games in Poland; all costs were paid by the World Games organisation apart from travel which the athletes organised and paid for. Individual athletes can get financial help from their clubs and regions, and this support is of course most welcome. The position for 2018 is described in a British Orienteering announcement from November 2017. Athletes will be required to fund all remaining costs including travel and accommodation. For all World Cups and World Orienteering Championships, British Orienteering will identify a volunteer Team Manager. This role will coordinate the GB team attendance at competitions aiming to provide, as far as possible, a stress-free competition experience for the team. In addition, at World Cup 1 (the European Championships) and World Orienteering Championships British Orienteering will recruit two additional support volunteers. Individual: Cat Taylor, Kris Jones. Relay: Charlotte Ward, Graham Gristwood, Hector Haines, Megan Carter-Davies, Peter Hodkinson, Ralph Street.